Building successful online entrepreneurship through digital products and services based on the WordPress platform. 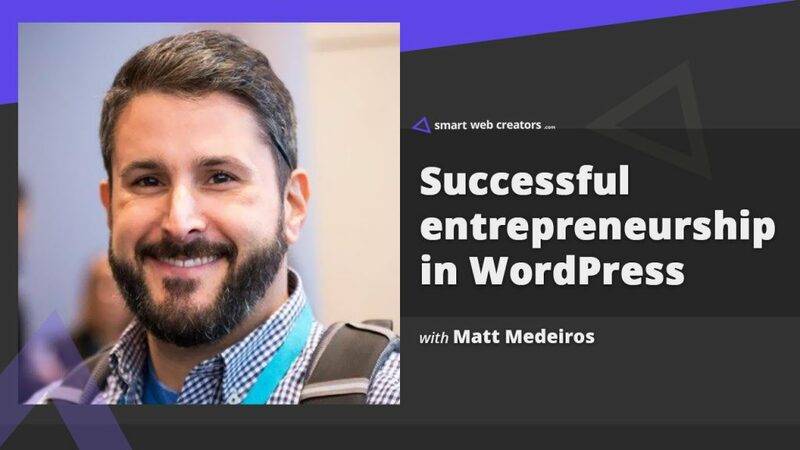 Matt Medeiros shares his “happy chaos” journey of building an agency, productized services, digital products in the WordPress world. Also, adding to the mix is the job at a managed WordPress hosting company. The methodology of successful online entrepreneurship, is it doing a lot of things at a given time or focus on one specific thing at a time – what has worked for you? Where do you get inspiration for the next big idea or small ideas which can be become big down the line? When launching a significant product like a WordPress plugin, did you perform any preliminary analysis or validation check before releasing it? What does success means to you, is it recognition, money or something else? WordPress ecosystem is changing at a very fast pace, one year is WordPress is almost equivalent to 5 years in the offline world. How do you adapt to these changes and stay at the top of the game for consistent performance of your WordPress based products and services? What challenges did you face while offering your products and services on WordPress platform? Like that feeling, a wish this specific feature in WordPress was better. This is a hypothetical question – if WordPress did not exist, what would have been your proffered platform for web development? One very important thing that people associate with you, is your amazing Podcast “The Matt Report”. How did the idea of a podcast that talks about WordPress and related stuff came to life? How has your podcast contributed to your entrepreneurial success in terms of visibility, authority or celebrity status? 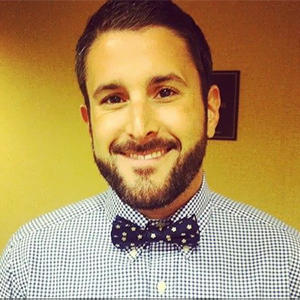 The next big jump for you was working at pagely, a managed WordPress hosting company. How did that happen? After working for so many years in a flexible schedule producing products and services to fitting in a role of job, was that easy? A lot of people are doing so many different things in the WordPress ecosystem. To a new-ish person in the WordPress world, would you advice choosing a niche or specific field within WordPress or just try whatever they can and find a sweet spot in the process? We all get creative ideas to try something new and different in the online world. Should we invest time in doing such side projects? Now I am gonna ask one very favorite question that is troubling a lot of WordPress people, which is Gutenberg. What storm will it bring in the WordPress ecosystem? Isn’t Gutenberg starting a parallel economy of free or paid guten blocks, just like existing WordPress plugins economy? A website was recently built using custom Gutenberg blocks, which could be achieved using a page builder. Will Gutenberg become a full-featured page builder in the near future? Do you anticipate Gutenberg bringing a big change in the WordPress economy for people who sell WordPress plugins, themes, and even website building services? Few cups of Coffee is an important tool. Slack is used for communication coupled with Agile CRM. Freshdesk is used for supporting buyers of our digital products. Freshbooks for invoicing at my agency studio. Buffer app is being used for social media scheduling management. Folks over Siteground do a great job at providing value shared hosting. Pagely is the best-managed hosting. More affordable options down the line are Digital Ocean, Pantheon. Beaver Builder is the recommended page builder, a good company. Using Drip for email marketing purpose but would like to try ConvertKit. Mailchimp is also a great option. I have been doing things on the web and related for the last 15 years. Everything I do can be found on Crafted by Matt website listing all my projects. My day job is at Pagely where I sell managed WordPress hosting. I started an agency handling website development clients, sold a Drupal theme and created few digital products in the mix. Also, there is Matt Report podcast and regularly create videos for my Youtube channel.